Sorry the next few posts are coming to you late, but here's the look I wore to my friend Akiko's wedding on the 9th. From left to right: Regard Signe de Chanel Harmonie Du Soir, Stylo Yeux Waterproof Long-lasting Eyeliner 85 Grenat. From left to right: Ombre Contraste Notorious, Joues Contraste 73 Star Dust, Glossimer 367 Intrigue, Rouge Allure Velvet 307 L'Impatiente. Apologies for the slight blur in this photo, but I had to rush to make it to my hair appointment. Chanel Ombre Contraste in Notorious (used to contour). The taupe shadow placed all over the lid. The icy pale pink shadow dusted over the taupe and on the brow bone. 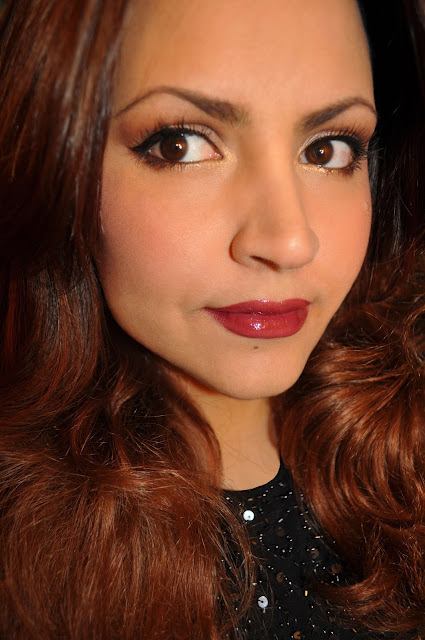 The burgundy shadow in the crease and along the outer half of the lower lashline. The yellow-gold shadow in the inner corner and inner half of the lower lashline. Chanel Stylo Yeux Waterproof Long-lasting Eyeliner in 85 Grenat (on the waterline and along the outer half of the lower lashline). Chanel Rouge Allure Velvet in 307 L'Impatiente. 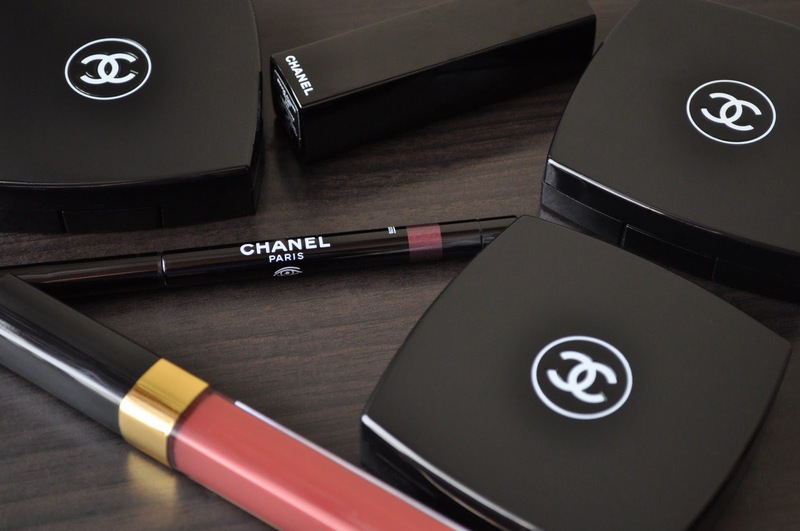 Chanel Glossimer in 367 Intrigue.